The U.S. Environmental Protection Agency’s (EPA) proposed New Source Performance Standards for emissions from oil and natural gas development would cost the U.S. oil and gas industry $783 million over the four-year period following the rule’s implementation, said Howard Feldman, director of regulatory and scientific affairs for the American Petroleum Institute (API). “We haven’t opposed the rule, but we’ve asked for changes to make it more workable, and achieve emission reductions cost-effectively and safely while allowing oil and gas development to continue,” said Feldman during a conference call Thursday. The proposed rule is scheduled to be finalized next week. API has not seen what the final rule will look like; Feldman did not rule out the possibility of API filing suit once the rule is finalized. “We’re just asking that the cost effectiveness of the mandate is consistent with those imposed on other industries,” said Feldman. API President and CEO Jack Gerard on Thursday sent a letter to EPA Administrator Lisa Jackson outlining API’s concerns over the rule. API has criticized the “one-size-fits-all approach” to regulating an industry varying in size, type and complexity of operations. These concerns include the fact that the EPA has failed to account for whether enough equipment is available to allow companies to comply with the new standard quickly. “This equipment is not produced on an assembly line, it must be carefully built in machine shops, which takes time,” Feldman noted. As a result, the proposed rule could result in net cost for the oil and gas industry rather than a cost benefit as EPA has claimed. The oil and gas industry is already leading efforts to reduce emissions through the use of green completion technology where it is economically feasible to do so, Feldman commented. “The technology and equipment being used to reduce emissions was created by the industry, not by the EPA or environmental critics of the oil and gas industry, and is already being implemented in many locations,” Feldman said. The data EPA is using to write the proposed rule is inaccurate and incomplete in terms of the costs and benefits, said Sara Banaszak, chief economist and vice president for America’s Natural Gas Alliance (ANGA). 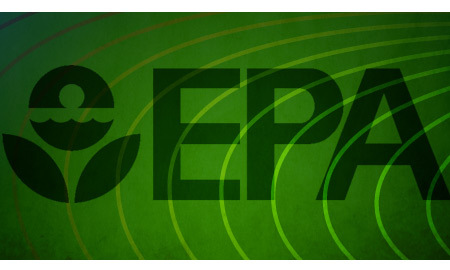 EPA is under court order to pass the rule after the environmental organization Wild Earth Guardian brought suit against the EPA for falling behind on its schedule for updating rules. The proposed rule would greatly expand existing standards and would cover a much larger portion of the industry. A joint survey is underway of API and America’s Natural Gas Alliance (ANGA) to determine the exact number of companies doing green completions with wells. A smaller survey had been previously conducted; the results of this larger survey will be released imminently, said Sara Banaszak, ANGA chief economist and vice president. “We see natural gas as a critical component to America’s energy supply, economic health and energy security,” Banaszak commented.